It is a good introductory book to provide students of reliability engineering and practicing engineers an insight to analyze the causes of major accidents or disasters which are in the end analysis caused by some failure of very insignificant component or device or subsystem or just shear negligence or oversight on the part of maintenance and operation staff. 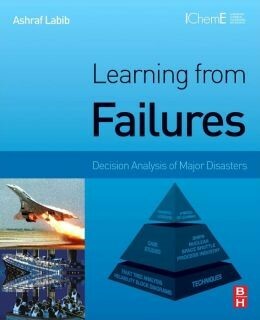 The book provides an insight of the causes of major disasters that have taken place over a period of time across the world by describing the sequence of events leading to the disaster by reasoning the technical and logical causes of a failure and its consequence for the overall system or entity. Extensive use of analytic tools like fault trees, reliability block diagram etc., have been made to explain the initial causes and reason out the causes of ultimate failure and kinds of failures that are possible under the particular scenario. Each chapter provides a critical commentary from the author which may or may not represent the author’s own reflection or view but of others as well on what could have saved the situation. The book provides detailed case studies of a number of disasters, from different industries which include, Bhopal Gas Disaster (1984), which was the worst industrial disaster of the world, Chernobyl (1986) and Fukushima ((2011) the two worst nuclear disasters (of scale 7); the BP Texas City incident (2005); Katrina Hurricane disaster (2005); the NASA Space Shuttle Columbia accident (2003); the Concorde accident (2000), and the sinking of the Titanic Ship (1912). Part 3 of the book provides a summary of lessons learnt from the case studies on disasters. The reviewer feels that the book makes interesting reading and should be read by all those who want to specialize in the area of reliability engineering and understand the genesis of tragic events so that such mistakes are not repeated while designing or operating important systems and services.